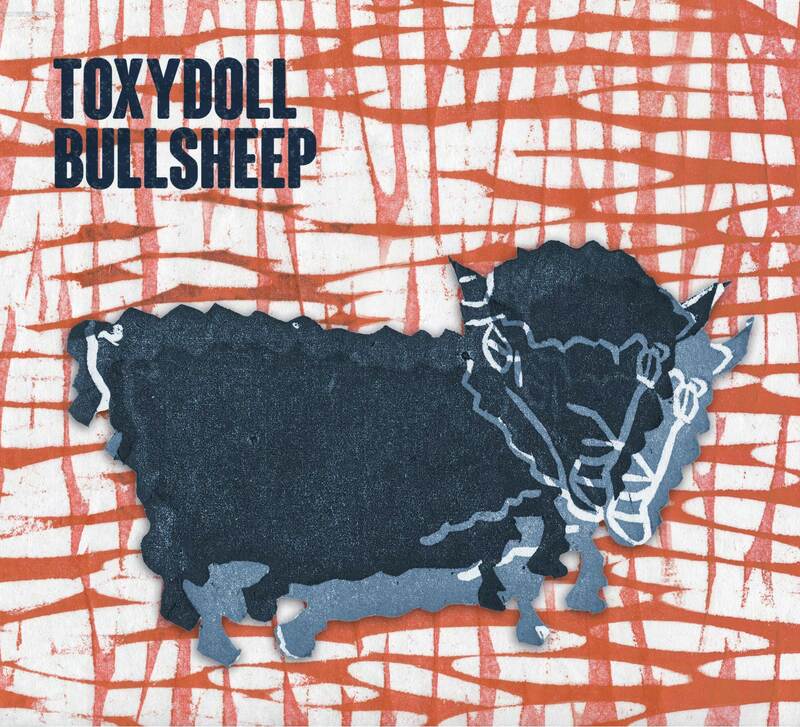 Bullsheep is the first studio album by Toxydoll, a Berlin-based “jazz hooligan” quartet, which has already released a live recording for Aut (Live at the Loophole, 2013). 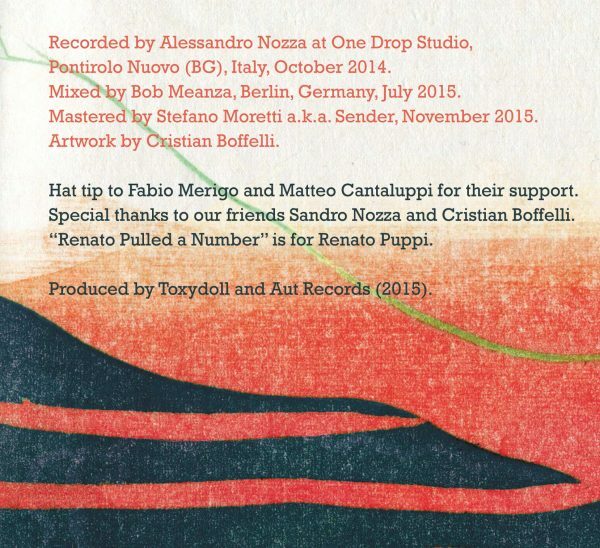 Bullsheep was recorded in the autumn of 2014, right after a tour in Italy, and mixed in Berlin in the summer of 2015. Besides offering brand new compositions, the record manages to deliver a strong idea of sound, that depicts a group with a mutable identity. Toxydoll apparently move from „jazz“ premises, but actually without really playing jazz. Drummer Olga Nosova (from noise duo ASTMA) creates grinding beats as well as eerie textures. 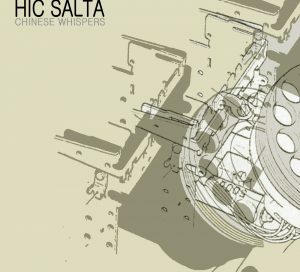 Bob Meanza (who also released OU for Aut Records in 2015) responds with his electronics, real-time sampling and bass synth lines. 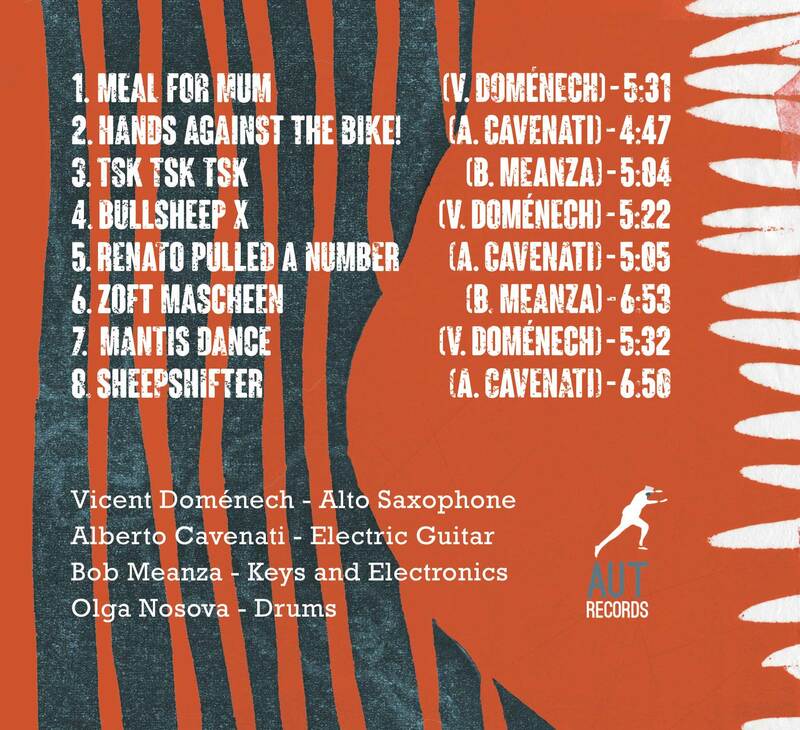 Guitarist Alberto Cavenati (Lo spazio ai margini, Unit Records 2014) dwells on the fuzz pedal, not neglecting his broad harmonic conceptions, like a dodecaphonic rocker. Finally, the sax of Vicent Doménech brings everything under a jazz light, although a free one, among Ornette Coleman inspired chants and grunts reminiscent of John Zorn. The blurred animal on the cover, the „bullsheep“ that the band has made its mascot, renders this state of vibration, ambiguity (if not even schizophrenia) as an ironic concept for the album. 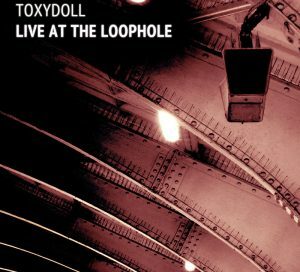 From the experimental music scene of Berlin (home of all band members) countless influences and deviations emerge: Toxydoll enter the studio with the crazy idea of encompassing this whole contradictory universe in each single song. What they end up doing is finding an agile way to handle potentially toxic materials. 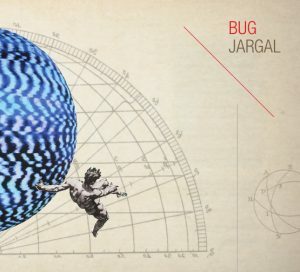 Grinding, distorting, digitalizing, with a grin on the face. Pontirolo Nuovo (BG), Italy, October 2014. Mixed by Bob Meanza, Berlin, Germany, July 2015.